Old Bolshevik, candidate member of Bolshevik Central Committee in 1917. Yakovelva was the minute-taker at the meeting which set the date for the October Revolution. Born into a middle-class family in Moscow, Yakovleva joined the Bolsheviks in 1904. In 1916-18, she was secretary of Moscow provincial bureau of the Central Committee and a member of Party centre. In 1917-18, she was a candidate for member of the Central Committee of Bolsheviks; from March 1918, a member of board of the NKVD, worked in the Moscow Cheka. During the discussion about trade unions (1920-21) she came out in the support of Bukharin. In 1923 she was a signatory to the October 1923 “Letter of the 46” in support of Trotsky’s program of democratisation of the Party. In 1922, she was an Actingf Minister for Education for the Russian Federation. In 1929 Minister of Finance of the RSFSR. On 12 September 1937, after the Third Moscow Trial, she was arrested and on 14 May of 1938 sentenced to 20 years in prison for belonging to a “diversionary terrorist organisation.” After the beginning of World War II on the instructions of Beria she was shot in the Orel central prison. Reports differ as to whether she was shot on 11 Sep 1941 or 21 December 1944. She was posthumously rehabilitated in 1958. Yamakawa was born in Kurashiki, southern Honshu (the main island of Japan) in 1880 to a father that had been a low-ranking samurai. He was sent to the prestigious Doshisha high school in where he converted to Christianity. After dropping out of high school he moved to Tokyo where he helped pen an article that spoke poorly of the crown prince’s marriage. For this he was sentence to two years in jail for lèse majestv. After being released in 1903 he visited the offices of the radical paper Heimin Shinbun where he met Kotoku Shusui, a leading socialist radical. He then moved back to the countryside and established a drugstore. In the next few years he dropped his Christian religion and decided to dedicate himself to socialism, he thus returned to Tokyo in 1907 to join the Heimin Shinbun as a journalist. There he converted to Anarcho-Syndicalism under the influence of Kotoku. In 1911 Kotoku was arrested and executed for an alleged plot to assassinate the emperor. Authorities used the opportunity to crack down on dissent and Yamakawa was sentenced to a few years in jail. In 1918 he converted to Bolshevism, in July 1922 he became one of the chief founders of the Komintern backed Japanese Communist Party (JCP). During that time Yamakawa wrote A change of course for the proletarian movement, which was essentially an attack on the Anarchro-Syndicalists. 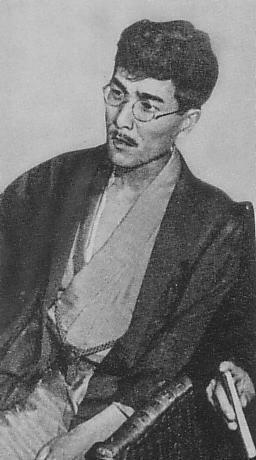 Yamakawa however was not a Leninist and refused to accept the idea of a revolutionary vanguard. By 1924 he led a faction to dissolve the party arguing that the time was not right for a Communist Party in Japan. His approach was later labelled “Yamakawaism” and was considered revisionist by JCP supporters. In 1927 he was one of the leading founders of the journal Rono (labour-farmer), a Marxist journal that opposed the Komintern interpretation of Japanese history. He retired from active politics in 1931, was arrested with most other Rono members in 1937 and spent the rest of the war in jail. He became a senior advisor to Socialist and labour movements in Post-war Japan. He died from cancer in 1958, his wife; Yamakawa Kikue (1890-1980) was a leading theorist of Feminism in Japan. See Marxism in Japan Archive. Leader of "The Society of the Godless," an organization designed to produce anti-religious propaganda. He was a member of the presidium of the Central Control Commission, and co-authored its official charges against Trotsky, 1927. Denounced by Stalin in 1931 for mentioning Trotskyism into his textbook on the history of Bolshevism.